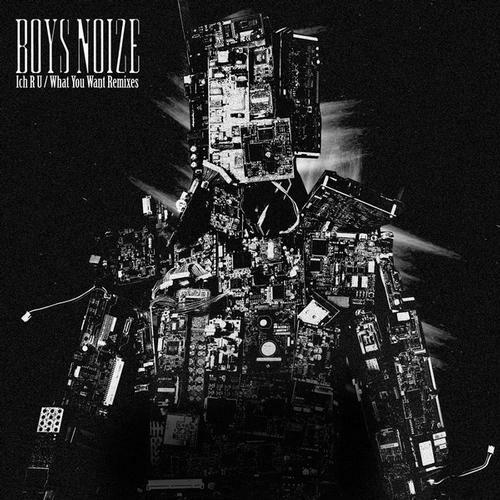 Boys Noize has compiled one of the most unique and interesting Remix EPs I have ever seen for two of the best singles off of his latest album, “Out Of The Black.” “Ich R U” has been remixed by Jacques Lu Cont as well as label-mate D.I.M, while “What You Want” has been done up by Jimmy Edgar, Noizeita and a very special remake done by Chromeo. Lu Cont turns “Ich R U” into a club ready Electro House track, while D.I.M strays from his usual stylings to create a Deep House remix. Jimmy Edgar puts his unique blend of Tech House into “What You Want” as Noizeita does the same but with more of an Electro spin. Chromeo’s remix (essentially a remake) is a cover song of the original, featuring the bands well loved Nu-Disco vibes, Chromeo does about 1 remix per year, so this is a very special track. Overall props to Boys Noize for bringing together such an electric group of young producers to help spice up his already amazing album. Peep the Jacques Lu Cont and Chromeo versions below then head to Beatport to see the rest! Purchase: Boys Noize “Ich R U / What You Want (Remixes)” [Boysnoize Records] on Beatport Today!